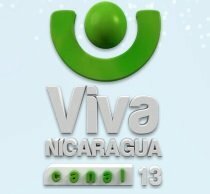 General TV Channel / Viva Nicaragua (Canal 13) is a television station located in Nicaragua, Viva Nicaragua Channel 13 began broadcasting on June 13, 2011 from the need to promote national production. Currently has 20 national programs varied themes such as tourism, information, sports, music, special events coverage and documentaries. International programming also airs as cartoons, juvenile series, retro series, movies and concerts.